We have another project Quilt Market project in Maywood Studio fabric to share with you! 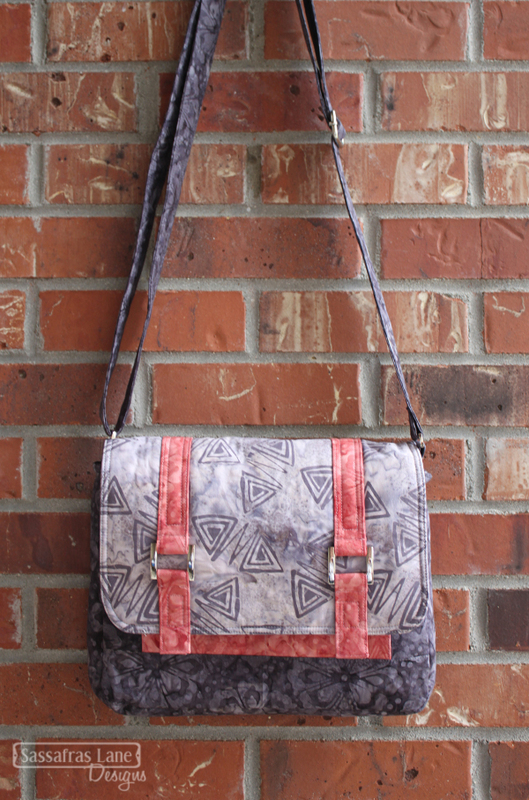 This is the Shelby Satchel bag made with the Kahuna batik fabrics by MaryEllen Laughary. 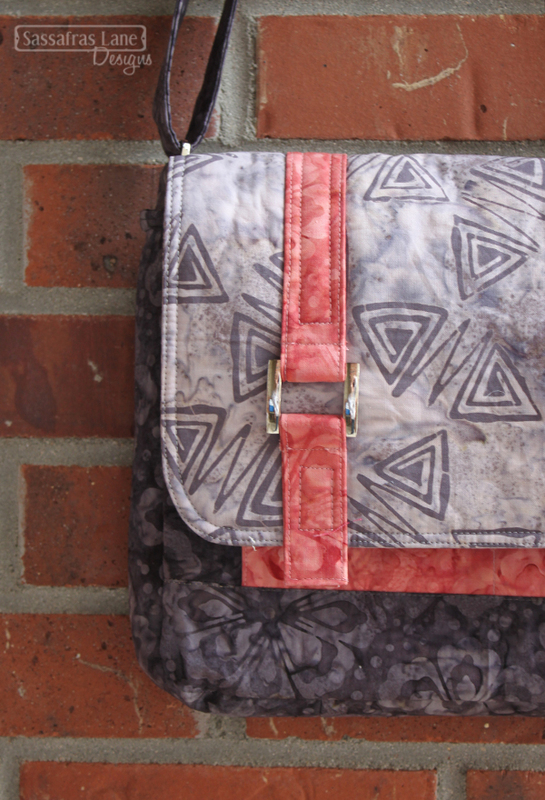 The bag finishes 11.5 inches wide, 9 inches tall and 2 inches deep. This version features a light purple triangle greek key print for the flap, a pink print for the accent fabric and a deep purple hawaiian floral print. I love this combination of fabrics. We usually chose the bold and bright prints, but this is a very elegant and feminine version of the Shelby Satchel. Finished Size: 11.5" x 9" x 2"
My Favorite Part: The feminine and sophisticated fabrics! 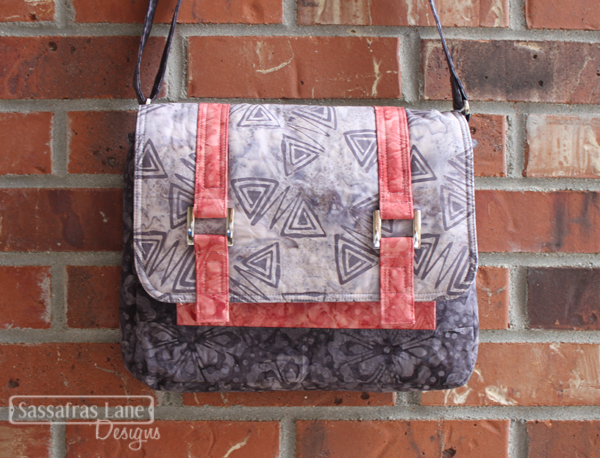 You can find the Shelby Satchel bag pattern here in PDF and paper form! If you make this or any other Sassafras Lane projects, we would love to see it - just shoot us an email! Stay tuned for one more Quilt Market projects over the next few weeks! Thanks for stopping by and Happy Sewing!